I'm leaving for Kansas City on Wednesday to attend Spring Quilt Market. I'm going to look for new notions and fabric. I'm hoping to make available a variety of wonderful dots on the Piece O' Cake website. Both of these are pieces that I bought at a quilt show recently and they are waiting, in my stash, to be used. I will either use them in applique or on the back of a quilt but they would also be fun in a pieced quilt. I know that when I poll the quilters in my lectures, most say that they don't buy this sort of print. But surely there are some of you who would if you could just find them. Or who would happily let someone else find a few cool prints for you. I've considered starting a yard of the month club – although knowing me it might be the yard every-other-month club. If you think you'd sign up for something like that, let me know in a comment. If I get enough 'yeses' I'll buy some big prints along with the dots. FYI – did you notice the twitter links on the blog, over there in the column on the right? Christopher taught me (again) how to tweet and use Instagram. Im planning to send fun photos from market. If you sign up to follow me on Twitter, know that I am not going to bombard you with tweets. If I manage more than 2-3 a week, I'll be doing good. That said, there will be more from market. I certainly would buy a yard of the large prints. I would absolutely LOVE a yard of the every other month. My DH is quite understanding about my fabric fetish, but a yard a month is a bit much, even for him (and for me, also). The dots would be welcome, also. I love your quilts and your taste in the fabrics you put in them! Have no problem with buying what you like. My problem is that close to me, there is only a Walmart that carries fabric. I won’t buy from them, the fabric feels ‘wrong’, and looks ‘wrong’, too. There is a shop about 40 minutes away, and many shops in Provo, Utah, about 1 hour 10 minutes away. I either buy on-line or wait till I go see my rheumatologist every month to shop for fabric — and my DH is with me then. Bummer! (not that I hide my purchases from him, he just inhibits me a bit when he’s there! LOL! I love those big prints. I would sign up for a yard of the month. I would sign up for the big prints and polka dots. I’d sign up -depending probably on the postage to Australia!? I love these types of print and would SO trust you to pick great ones! Yes Yes….I can see lots of possibilities in just those two fabrics for fussy cutting and would love a yard club..sometimes the choice is overwhelming..and sometimes nothing to choose…a club sounds an excellent idea! 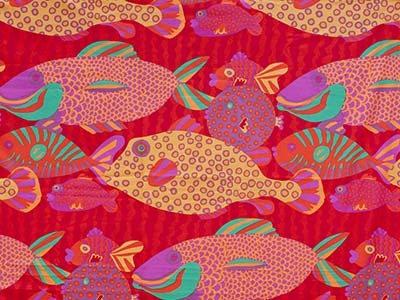 LOL Becky I already ordered the fish print, I couldnt resist. Don’t have a plan for it but someday!!! I love dramatic large prints. Thanks for responding so quickly about my order! Yes indeed – there are some wonderful uses for big prints – sailing across a background! A yard is useful – you can work a tote out of that or pillow, if you are don’t want to cut it up too much. Have fun! I love and buy the large prints. I too am in Australia, so it would depend on the total costs whether I would join the yard a month club. But a great concept and I love your fabric choices. I love these large prints so i would be very interested. I think the only problem would be the postage to the UK. I would love a yard every other month club. It is more affordable for me than one every month. And I love your fabric choices. The stores near me don’t buy anything like what you prefer. I’d buy large prints if they ever came my way. Would love to do some broderie perse. Thank you for asking. I have seen the large fish print made up in a shower curtain. The gal who made it used it as her focus fabric and put 4 borders around it. It turned out absolutely beautiful! Hope that gives someone else an idea of a quick and easy way to use those large scale prints. I love big prints and would sign up for a yard every other month club. Big prints are great for quilt backs. I would be interested in a yard every other month club and agree that it is a great idea. Yes! 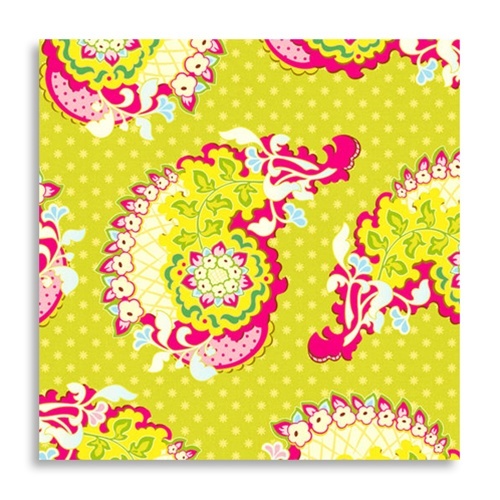 I love these prints and love your fabric choices for your quilts! Loved the class I took from you and would sign up for a two-day or more workshop if available! Love, love love the fish! I usually end up with more than a yard a month…do we have to “do” something every month or just accumulate? I teach a 9-patch pizzazz class that shows how to use a large print fabric without ahveing to cut it up too small. Nice book! Got permission to teach as long as I don’t copy the book. Cool. So they sell more books, people take the class and get help with the technique. Win, win, win thing. I’ll do this monthly fabric thing. This would be a wonderful way to get outside of my usual “safe” (and boring) color schemes. I think it’s an excellent idea. I’ll ask at my applique guild who would be interested! I guess I got so carried about whining about the fabric shops in my area that I didn’t say, “Yes, I would sign up for a yard of the month” and “Yes, I would buy the big prints”. SORRY! I know that I am very late in responding to your question about the large scale prints (which I love), but I just wanted to say that I love Jane Sassaman’s fabrics.